Humility about who we are and God’s purpose for us is essential. The scriptures are clear that while this life is relatively short, it is incredibly significant. Amulek, who was a missionary companion of Alma in the Book of Mormon, said, “This life is the time for men to prepare to meet God; yea, behold the day of this life is the day for men to perform their labors.”12 We do not want, like my cartoon character, to sleep through this life. 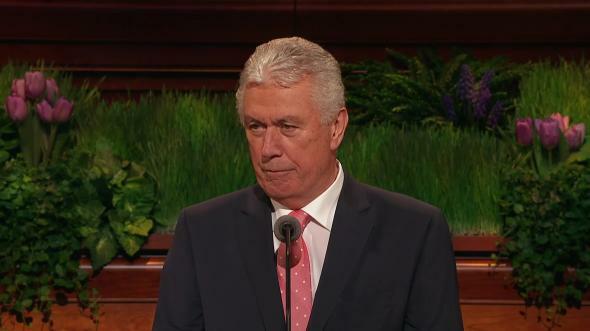 The Savior’s example of humility and sacrifice for all mankind is the most profound event in history. 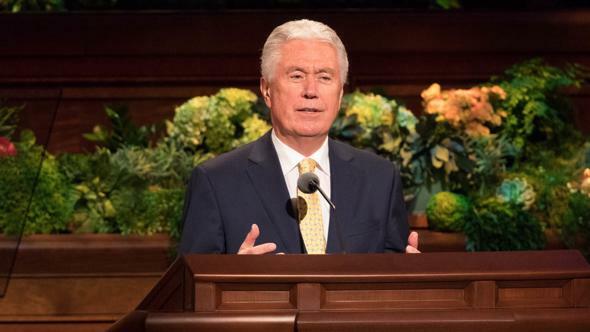 The Savior, even as a member of the Godhead, was willing to come to earth as a lowly infant and begin an existence that included teaching and healing His brothers and sisters and ultimately suffering indescribable pain in Gethsemane and on the cross in order to perfect His Atonement. This act of love and humility on the part of Christ is known as His condescension.13 He did this for every man and woman God has created or will create. Our Heavenly Father does not want His children to be discouraged or to give up on their quest for celestial glory. When we really contemplate God the Father and Christ the Son, who They are, and what They have accomplished on our behalf, it fills us with reverence, awe, gratitude, and humility. Every time I read about Alma the Younger relinquishing his role as head of state to preach the word of God,16 I am impressed. 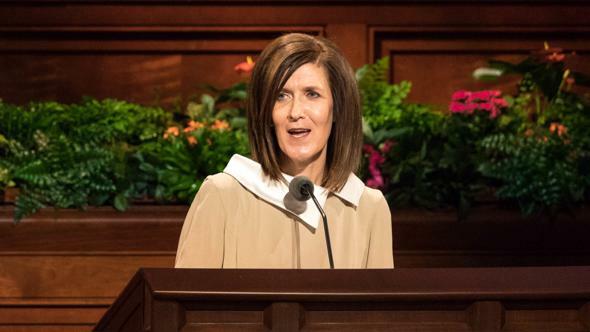 Alma clearly had a profound testimony of God the Father and Jesus Christ and felt accountable to Them completely and without reservation. He had the correct priorities and humility to give up status and position because he realized that serving the Lord was more important. Having sufficient humility in our lives to help establish the Church is particularly valuable. An example in Church history is revealing. 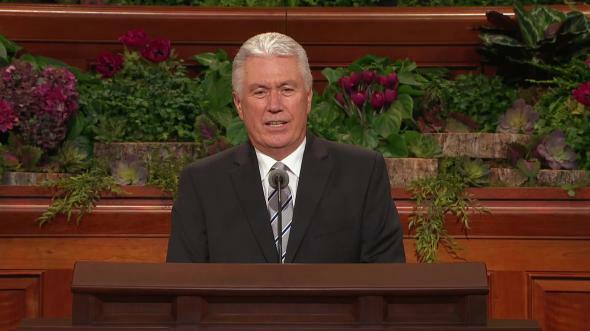 In June of 1837, the Prophet Joseph was inspired while in the Kirtland Temple to call Apostle Heber C. Kimball to take the gospel of Jesus Christ to “England … and open the door of salvation to that nation.”17 Apostle Orson Hyde and a few others were assigned to accompany him. 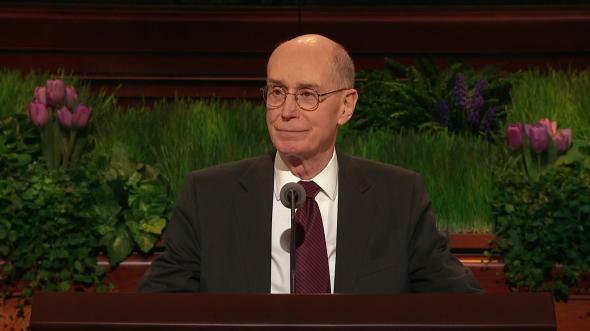 Elder Kimball’s response was remarkable. 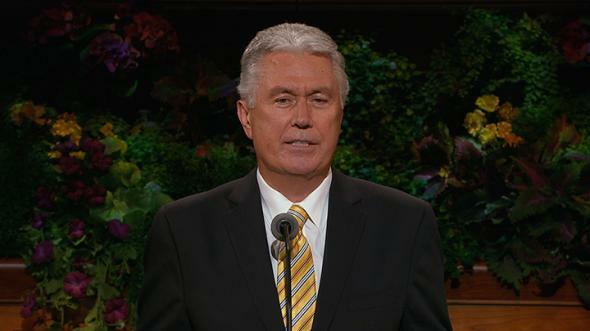 “The idea of being appointed to such an important mission was almost more than I could bear. 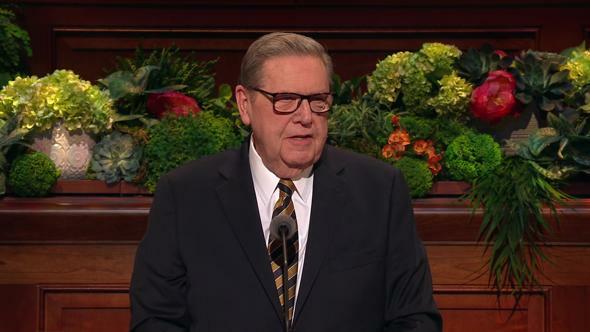 … [I] was nearly ready to sink under the burden which was placed upon me.”18 Nevertheless, he undertook the mission with absolute faith, commitment, and humility. Sometimes humility is accepting callings when we do not feel adequate. Sometimes humility is serving faithfully when we feel capable of a more high-profile assignment. Humble leaders have verbally and by example established that it is not where we serve but how we faithfully serve.19 Sometimes humility is overcoming hurt feelings when we feel that leaders or others have mistreated us. The humility that undergirded this incredible missionary effort allowed the Lord to establish His Church in a remarkable way. Gratefully, we continually see this in the Church today. Members, including the rising generation, give up their time and defer education and employment to serve missions. Many senior members leave employment and make other sacrifices in order to serve God in whatever capacity they are called. We do not allow personal issues to distract or divert us from accomplishing His purposes.25 Church service requires humility. We humbly serve as called with all our might, mind, and strength. At every level of the Church, it is important to understand the Christlike attribute of humility. For generations, the religious-based virtue of humility and the civic virtues of modesty and understatement have been the predominant standard. Some misuse authenticity as a celebration of the natural man and qualities that are the opposite of humility, kindness, mercy, forgiveness, and civility. We can celebrate our individual uniqueness as children of God without using authenticity as an excuse for un-Christlike behavior. The widespread deterioration of civil discourse is also a concern. The eternal principle of agency requires that we respect many choices with which we do not agree. Conflict and contention now often breach “the boundaries of common decency.”32 We need more modesty and humility. I bear a sure witness of the Savior and His Atonement and the overwhelming importance of humbly serving Him each and every day. In the name of Jesus Christ, amen. Kathy Lette, in “Town and Country Notebook,” ed. Victoria Marston, Country Life, June 7, 2017, 32; emphasis added. Annie Tempest, “Tottering-by-Gently,” Country Life, Oct. 3, 2012, 128. See Psalm 90:4. Whether short or long in terms of earth years, our life span is very short from an eternal perspective. “All is as one day with God, and time only is measured unto men” (Alma 40:8). The Apostle Peter declared, “But, beloved, be not ignorant of this one thing, that one day is with the Lord as a thousand years, and a thousand years as one day” (2 Peter 3:8). See Moses 1:6–9. 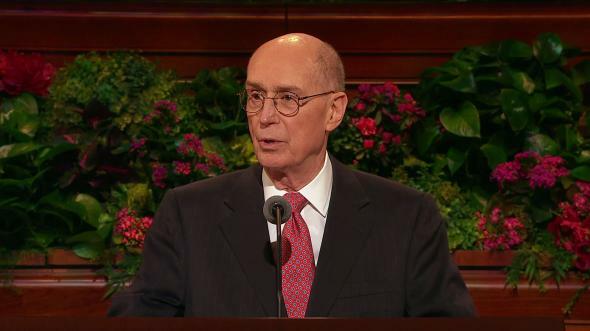 This is Christ speaking with divine investiture of authority (see Teachings of Presidents of the Church: Joseph Fielding Smith , 47, footnote 11). 2 Nephi 26:33; see also Doctrine and Covenants 1:34–35; 38:16; Official Declaration 2. Doctrine and Covenants 20:37 begins, “All those who humble themselves before God.” It then sets forth the requirements for baptism. See also Matthew 11:28. See Doctrine and Covenants 20:37. 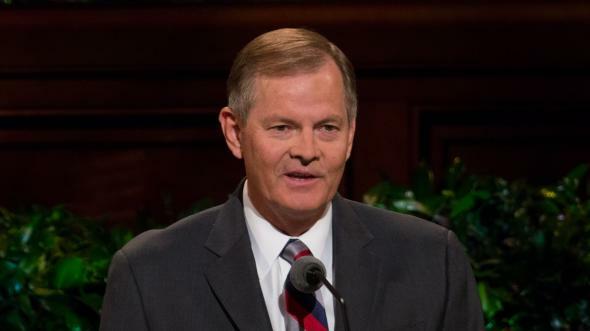 We know if we do not repent, receive the ordinances, and follow the covenant pathway that prepares us for eternity, “the night of darkness [comes] wherein there can be no labor performed” (Alma 34:33). See 1 Nephi 11:26–33; 2 Nephi 9:53; Jacob 4:7; Doctrine and Covenants 122:8. Joseph Smith, in Heber C. Kimball, “History of Heber Chase Kimball by His Own Dictation,” ca. 1842–1856, Heber C. Kimball Papers, 54, Church History Library; see also Orson F. Whitney, Life of Heber C. Kimball, an Apostle; the Father and Founder of the British Mission (1888), 116. Heber C. Kimball, “History of Heber Chase Kimball by His Own Dictation,” 54; see also Orson F. Whitney, Life of Heber C. Kimball, 116. 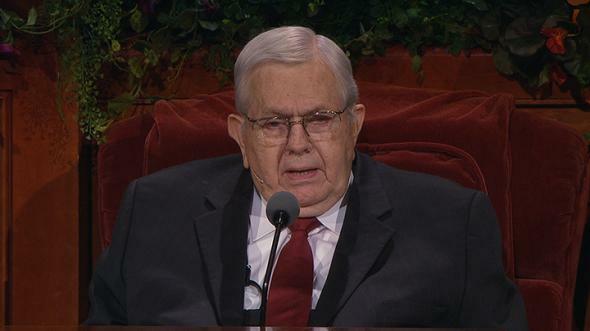 President J. Reuben Clark Jr. taught: “In the service of the Lord, it is not where you serve but how. 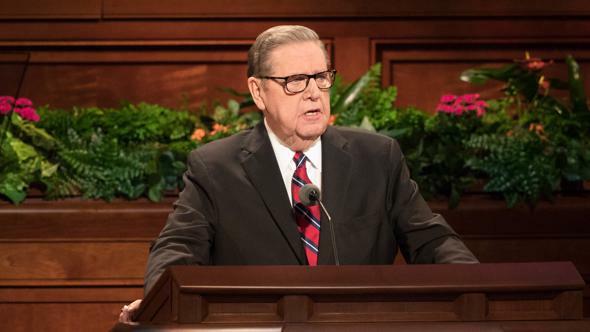 In the Church of Jesus Christ of Latter-day Saints, one takes the place to which one is duly called, which place one neither seeks nor declines” (in Conference Report, Apr. 1951, 154). See The Joseph Smith Papers, Documents, Volume 5: October 1835–January 1838, ed. Brent M. Rogers and others (2017), 412–17. 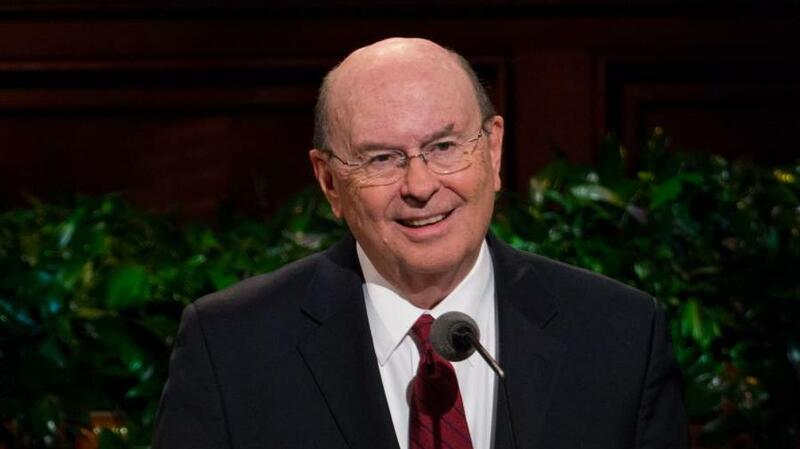 Vilate Kimball reported in a letter to her husband, Heber C. Kimball, that she had copied the revelation from “Elder Marshs book as he wrote it from Josephs mouth” (Vilate Murray Kimball to Heber C. Kimball, Sept. 6, 1837, in The Joseph Smith Papers, Documents, Volume 5: October 1835–January 1838, 412). Doctrine and Covenants 112:10; emphasis added. See Orson F. Whitney, Life of Heber C. Kimball, 136–37. See Orson F. Whitney, Life of Heber C. Kimball, 149. 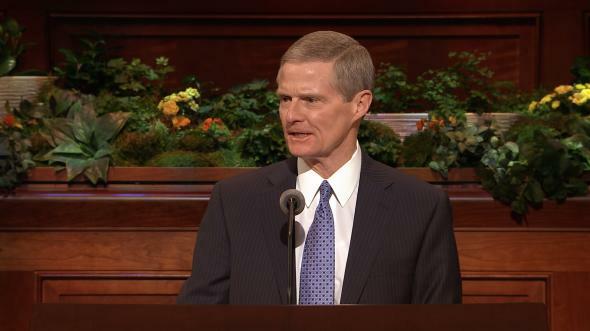 Doctrine and Covenants 112:21–22; emphasis added. 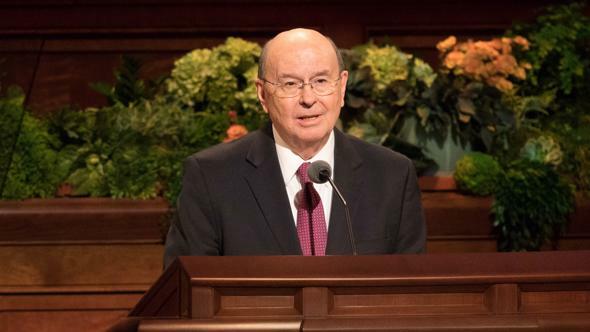 “While we do not ask to be released from a calling, if our circumstances change it is quite in order for us to counsel with those who have issued the call and then let the decision rest with them” (Boyd K. Packer, “Called to Serve,” Ensign, Nov. 1997, 8). 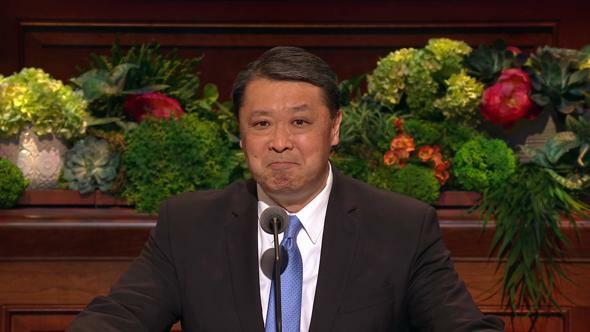 See “Humility,” in chapter 6 of Preach My Gospel: A Guide to Missionary Service (2004), 120. See Charles J. Chaput, Strangers in a Strange Land (2017), 14–15; see also Rod Dreher, The Benedict Option (2017). Carl Cederstrom, “The Dangers of Happiness,” New York Times, July 19, 2015, SR8. English Oxford Living Dictionaries, “humblebrag,” oxforddictionaries.com. 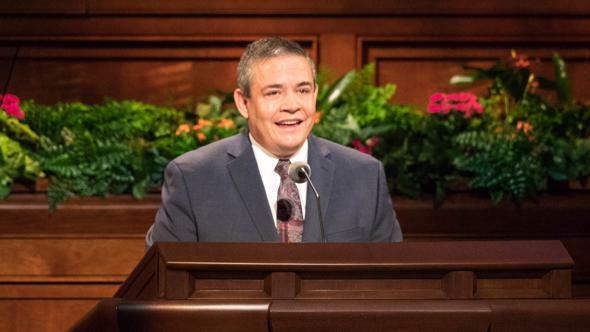 In some ways this echoes the book of Alma’s description of those who had acquired “all manner of precious things, which they had obtained by their industry; … [but] were … lifted up in the pride of their eyes” (Alma 4:6). It has been noted that a “humblebrag” is still a brag. David Brooks, “Finding a Way to Roll Back Fanaticism,” New York Times, Aug. 15, 2017, A23. As Nelson Mandela said, “Resentment is like drinking poison and then hoping it will kill your enemies” (in Jessica Durando, “15 of Nelson Mandela’s Best Quotes,” USA Today, Dec. 5, 2013, usatoday.com). Ether 12:26, 27; emphasis added. Edmund Vance Cooke, “The Eternal Everyday,” Impertinent Poems (1907), 21.